We are into the Halloween theme at our house this week. 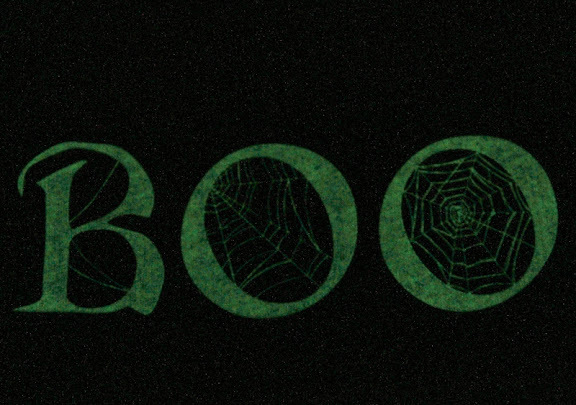 Cindy was wearing her glow in the dark "BOO" shirt today, so I had to see if I could capture the glowing "BOO" for today's post. From a camera's standpoint the glow is very faint light. Our eye's quickly adjust to pull the glow out of the darkness, but the camera is much more challenged by the very low light. Canon 7D, 1/20 sec @ f/3.2, ISO 1600.